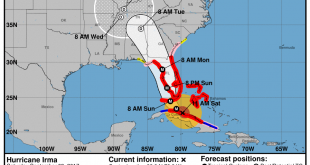 Updated Hurricane Irma Forecast Sept. 11 at 5 a.m. 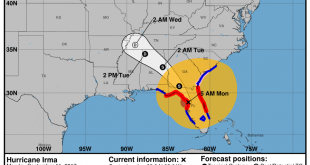 Updated Hurricane Irma Forecast Sept. 10 at 2 p.m. Updated Hurricane Irma Forecast Sept. 9 at 5 p.m. 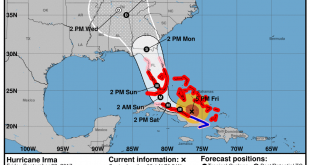 Updated Hurricane Irma Forecast Sept. 9 at 2 p.m. 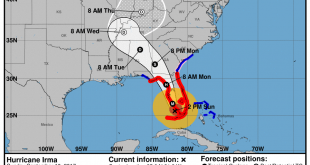 Updated Hurricane Irma Forecast Sept. 9 at 11 a.m. 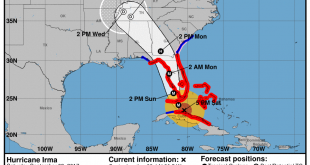 Updated Hurricane Irma Forecast Sept. 8 at 8 p.m.